It is more important that you should know about the reverses than about the successes of the war. We shall have all eternity to celebrate the victories, but we have only the few hours before sunset in which to win them. Matthew 7, the last chapter of the Sermon on the Mount, is something of a catch-all. There was a man named Papias, about whom little is known except that he became the Bishop of HieropolisHieropolis was a small city in what is now rural western Turkey, inland from Ephesus; and like Ephesus, is nothing but a ruin today. around 100 A.D. and wrote five books, of which only fragments remain. One of these fragments, however, tells us that Matthew kept notes of Christ's teachings in Hebrew. Most people infer that these notes were used to write the Gospel of Matthew. atthew was called to discipleship, according to his own Gospel, after the Sermon on the Mount. This creates an issue of chronology, as he could not have taken notes firsthand at an event where he was not present. So, some of his notes were collected from others, or taken down secondhand. Or possibly, Matthew heard them firsthand at a later time, and attributed to the Sermon on the Mount; this is certainly possible, since Jesus, in three years of constant teaching, surely repeated Himself many times. It seems that the final editor of our “Gospel According to Matthew” — probably not Matthew himself — was able to piece together most of Matthew's Hebrew notes into a flowing, thematically cohesive narrative. But when that was accomplished, there were scraps left over. These are important, for they are the sole verbatim source of some of Christ's teaching. But they are short, stand-alone sayings, even one-liners, difficult to connect to the rest of the book. Today's Scripture is such a scrap. It does fit a little with the end of yesterday's Scripture, and it also summarizes a major theme of the Sermon on the Mount, as it is a concept present in the Lord's Prayer. But, appearing where it does, it sounds like the conclusion of a long teaching that is lost. It may be a one-liner, but it is one of the most famous sayings in history, important enough to merit a name: The Golden Rule. By our nature, we hear an insult directed against ourselves very loud, but one that we direct at another person, hardly at all; an oddity that most people must learn again and again. In fact, naive people might say something they think is helpful and therefore friendly — “I think you look better with long hair” to someone who has just gotten a haircut, or “that color doesn't flatter your skin tone” — and then be surprised that the recipient of the comment feels miffed, or even insulted and angry. This page isn't Ann Landers, but here is a hint for not insulting people: If you ever start a sentence with “Don't take this wrong way” or “No insult intended” — stop talking. Bite your tongue. Don't say it. You are about to insult them. Unless you simply want to be a passive-aggressive jerk, don't give unsolicited criticism. Jesus had in mind issues greater than childish insensitivity, though. 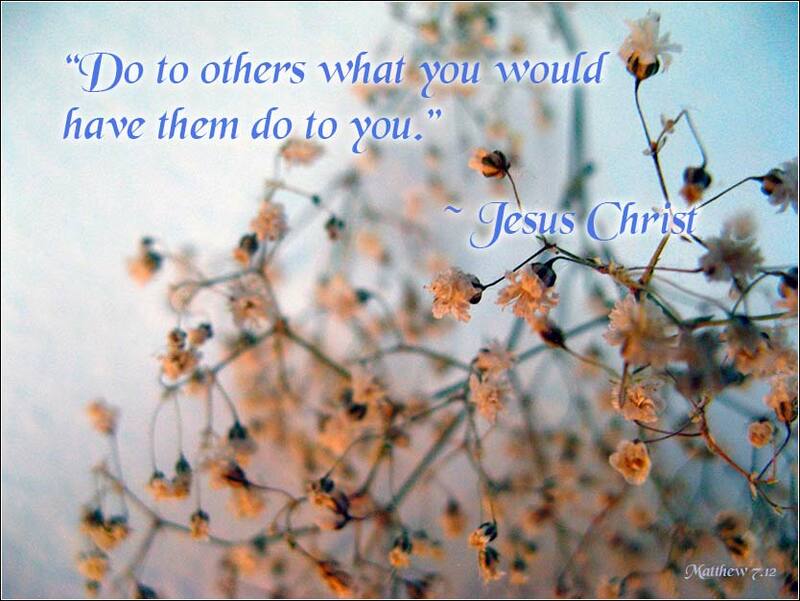 The Golden Rule is connected to His statements on reciprocity of judgment and forgiveness: e.g., “if you do not forgive others their trespasses, neither will your Father forgive your trespasses” (Matthew 6:15) or “with the judgment you pronounce you will be judged” (Matthew 7:2). 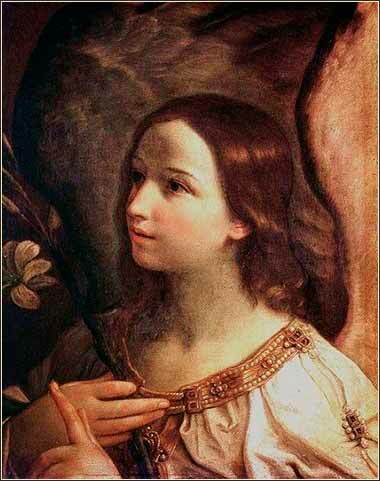 Angel of the Annunciation, Guido Reni ca. 1628.